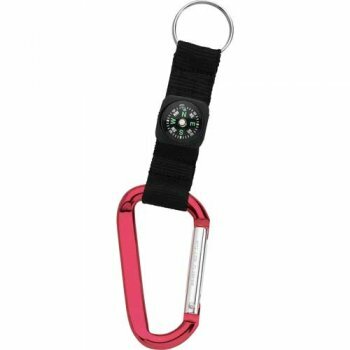 Personalized carabiner with compass – red buys you attention with its passionate color theme and its typical features such as compass and key holder. Adventure sports, safety clubs, environment clubs, emergency services, hospitals, and many such marketers working on red line of competition are seeking it for gifting. This carabiner can be gifted as a thanking token during service or as an acknowledgement token in the beginning of an event. This custom carabiner with compass- red suits all those low budget marketers who have been struggling hard to make beeline. Request a quote to know about value savings that you are about to make on ordering this wonderful promotional carabiner with compass – red in bulk. 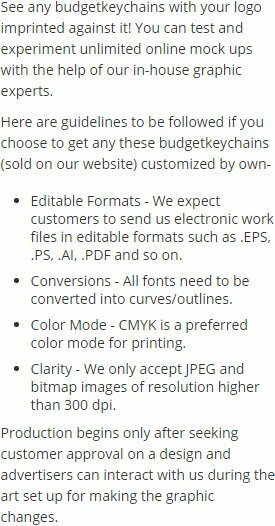 Features – Metal split key ring. 8mm carabiner. Woven nylon strap with compass. Laser engraving recommended. Available Colors : Black, Blue, Red.